The world of roleplaying game would not be the same without the poor old Jack. I thank him for him sharing his imagination. A toast to the best SF/Fantasy writer I came across in the 30odd years I'm reading ! I still love your books, Jack, they all have a special place on my bookshelves ! Thank you for bringing your writings into my world ! Dank je, Jack!Je maakte dromen waar en de moeite waard! A toast to you with a good beer. Thank you, dear mr Vance. Your work was among the first I discovered in SF&F and won me over for these genres. Every few years I reread your wonderful stories and some forty years after that initial introduction I enjoy them as much as the first time, maybe even more. Your endless perspectives and special sense of humor will not be forgotten. Thanks, Jack. Visiting other planets was like a thrilling holiday in every book you wrote. I find it hard to believe that Hollywood yet has to discover your amazing talent. May you rest in peace. Jack Vance, you will forever have two bookshelves in my house. Thank you. I grew up with Jack Vance his novels. I was a huge fan of Cugel and recently decided, at age 41, to read Planet of Adventure over again. I was, once more, overwhelmed by the storyline, the method how Vance is describing all of his exotic creatures and different cultures and his main characters. Then I remember that Vance, just like me, had travelled a lot during his live and for me it was obvious that his way of telling stories have been influenced by this. Not only did I grew up with Vance his novels, they had a huge impact on what I've become. I dare say that much of my creativity as a graphical designer has been made possible through reading Vance's rich and wonderful cultures and exotic worlds. Even though I'm saddened that he is no more, the knowledge that his stories will live on in my thoughts makes me humble and I can only give Vance a salute with the words: "rest peacefully, you'll be in my heart forever!" Rest in Peace Jack Vance. When I was at school where you are told to read, it bored me. Vance stories were the trigger, he gave me the taste to read, for which I'm forever grateful. Wherever he is now, I'm pretty sure there's a new star shining bright somewhere in the galaxy. Van m'n tienerjaren af prikkelde je mijn fantasie en maakte me tot wie ik ben vandaag. Iemand die graag lees, ontdekt, deelt en vooral leeft. :-) Als er een wereld is voor jou na dit leven, lijkt dat vast op die werelden in je boeken. Rest in Peace Jack. Have been a fan ever since i discovered SciFi when i was a teenager in the sixties. one does not read your books, one lived them. Have a good life on the other side.. Thank you, Jack, for teaching me to read, to dream and to think. From the moment I read my first Vance, almost 40 years ago, Jack's stories have been an inspiration and a great joy to me ever since. I count myself lucky to own and have read all his books. Thank you, dear Jack, for this great gift. May you rest in peace. Thank you, Jack Vance. Your work was beautiful. You were a god. My copy of Madouc is covered in folded pages where I marked particularly beautiful passages, Araminta Station may well have been the best book ever written, and the end of The Face was . . . amazing forever. Sleep well. You'll be missed. I found that in any area of arts there is one special hero for you, without whom your life would have been so much less rich. I grew up reading the books of Jack Vance and, indeed, he's been my hero in literature all along. My first Jack Vance experience was reading THE DEMON PRINCES. Since then I searched for his other books and lost my self in his marvelous creations. He embodied the sense of wonder. I am fortunate to have a copy of THE DYING EARTH and TO LIVE FOREVER signed by Jack. He will live forever in his books and the hearts of his many fans. My favourite author, his writing was truly inspired. My condolences go out to the Vance family at this time. Thanks Jack, for many, many hours full of "sense of wonder". May your voyage take you to the myriad destinations that you imagined. So many hours of wonderment & pleasure......Thank you forever......"He stared down at the characters and they burned with an urgent power, pressing off the page as if frantic to leave the dark solitude of the book." I started with Planet of Adventure and then devoured the rest of Jack's work as fast as I could find it. That unique voice and astonishing imagination made it very difficult for me to read anything else for a long long time. Thanks for the journey Jack and good luck in your next adventure! The first SF I read, the best SF I read. He will be my hero forever. 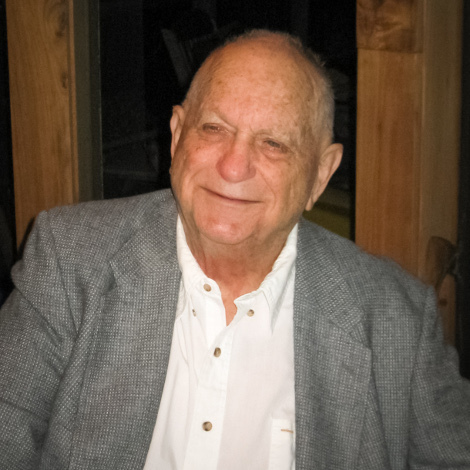 Jack Vance the master, may he rest in peace. Jack Vance's novel "The Dragon Masters" was the first book I read in English. I managed to work my way through it with the help of a Dutch translation to which I referred when I lost the plot. The book was given to me on my 15th birthday by my cousin Ron Huijser (also a SF fan) who challenged me to read books in the original language. I will miss Mr Vance, as I miss my cousin Ron. Both RIP. R.I.P. Jack, and thank you for, the nice moments you have given me and my whole famelie. As a young boy age 13 I start to read books. Start with The Hobbit and 1 month later I ended with The Lord of The Rings. But after that I found myself in Science Fiction. My first book was one of Jack Vance, can't remember if it was Tschai or The Killing Machine. I read myself trough the bookshelves of my parents (about 150 books). After that I start to buildup my own SF bookshelves. Thanks to JJR Tolkien and Jack Vance I found a wonderful world. Today I count about 1700 SF&F books, all translated into Dutch. So forgive me if I wrote down some strange English, it is not my native language. 5 generations of my family loved your work. Last of the Golden Age authors, and the most creative, and my personal favorite. From your Captain Video scripts, to your books, your ideas poured forth in a wide-eyes froth that changes everything they touched, and influenced and inspired the creation of so many works by others. Rest in peace. Thank you so much for tickling my imagination Sir. I wish you all the best in the Greater Heavens, and I'd like so express my support for your family and friends, who remain behind, tied to this earth for now. I love you Dying Earth. Rest in peace，Jack. Jack, you were a father to me. Thanks a lot for your books Jack. You were one of the great sf-authors. You won`t be forgotten. Condolences to the family. Just wanted to say Planet of Adventure is one of my favorite books of all time- Thanks Jack you will be missed. Sadly my favorite writer has passed away. Lots of strength to his family. Jack Vance has inspired me since I started to read his books. He will keep on doing that forever and ever. We mourn his passing and offer condolences to his family and celebrate his magnificent body of work - a life well lived. Het was een prachtig ervaring om als 15-jarige Lyonesse te ontdekken tussen de boeken van mijn vader op die saaie vakantie in St. Malo. Danzij jou maakte ik toch de reis van mijn leven. Jack, you were one of my favourite writers during my teenage years, together with Asimov and Clarke. I specially loved reading your Demon Princes and Tschai series. I will always remember your imagination for creating FASCINATING WORLDS. The daft and batty wonder of the dying earth will live in my heart as one of my favorite imaginary worlds forever. Thank you Jack, for enriching my life with beautifull stories of amazing wonder. Jack Vance was an incredible writer who touched my life and changed it. Thank you, Jack, for all your wonderful books; thank you for your vision, humour and richly colourful language. Thank you! Thank you Mr. Jack Vance for the fantastic stories that you wrote. Ik love them all, especially Tschai and Durdane. May you rest in Peace. Te echaré mucho de menos. Amaranth for ever, thank you very much for enriching my life for half a century by now! May you rest in peace for perpetuity! Thank you for giving to us, your readers, such a tremendous feeling of great and unique adventure. I read a few books of J. Vance, but loved them all. We were blessed to have him on this Earth, for such a long time, and that he was able to live a long, happy, free and creative life. Farewell, Rest in Peace Mr Vance. it was most definitively Jack. So thanks for taking us all along, Jack. I'll definitely will miss you! For me Jack Vance was great as the connatic tower in Numenes. I regularly reread his books and i'll do this a longtime. I had the chance to talk with him in Poitiers several years ago. It was a very important moment for me. Wat een man, al die werelden in zijn hoofd. Met recht FANTASTISCH. Ik ben heel blij dat hij zo veel geschreven heeft. En ook dat hij thuis is overleden op een eerbiedwaardige leeftijd. Ik zal zijn boeken altijd blijven herlezen!